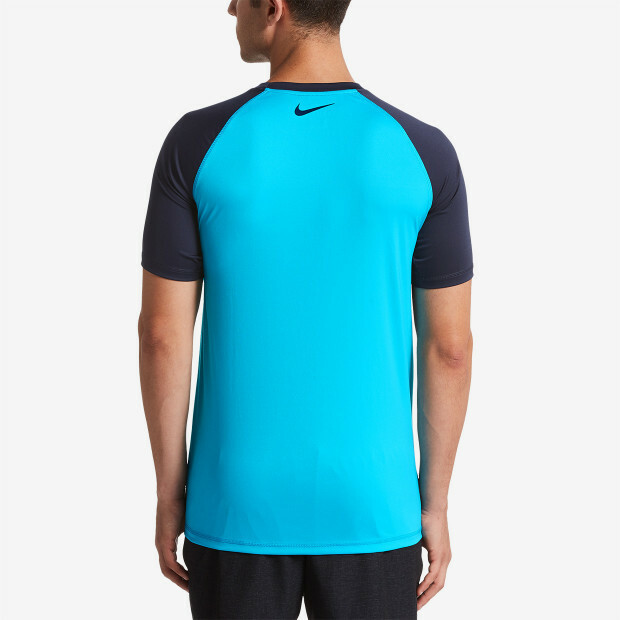 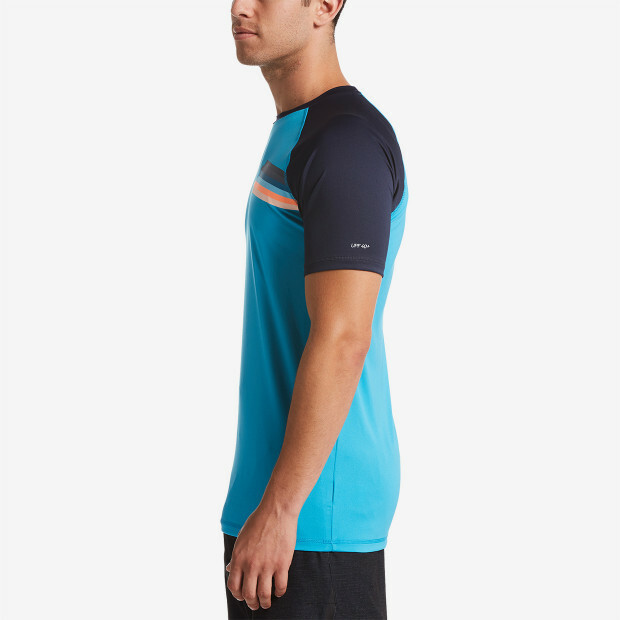 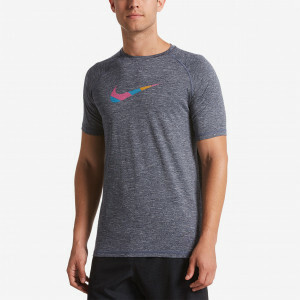 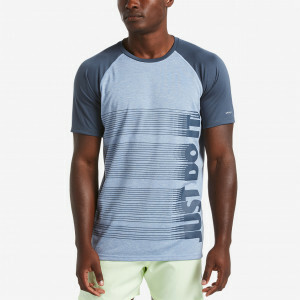 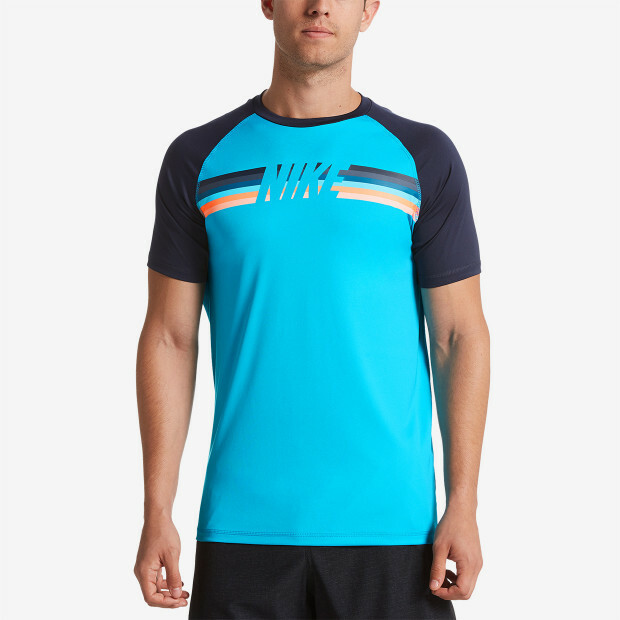 Nike Swim Men's Retro Stripe Short Sleeve Hydroguard adds extra style with accent colors on the sleeves and stripes across the chest with the Nike logo. 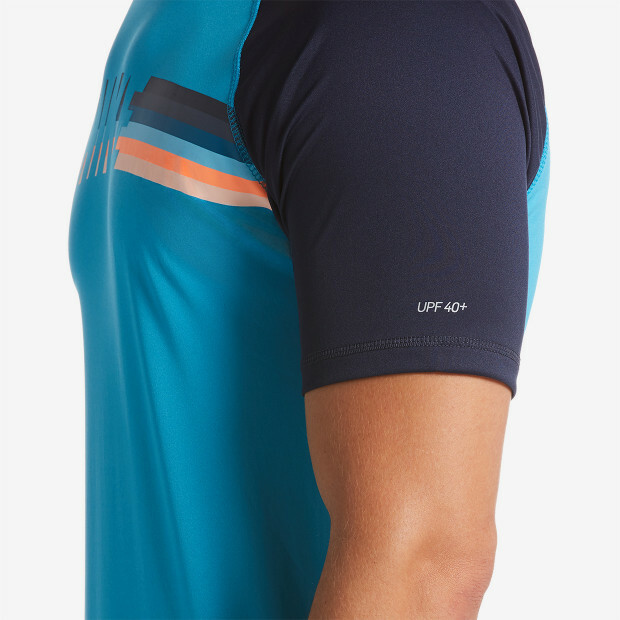 This swim shirt provides UPF 40+ protection to safely enjoy the sunshine longer. 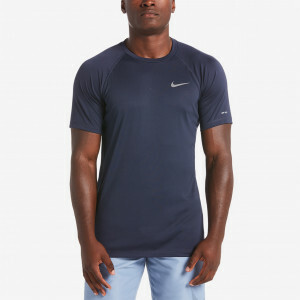 Dri-FIT technology wicks moisture away while flat seams prevent chafing for maximum comfort all day.